My name is Eliza Somsel and I am currently an intern here at FLOW. I am from Grand Rapids, MI originally, but after I graduated high school in 2011, my parents moved to Traverse City. While I have not lived here long, I have always enjoyed Crystal Lake, Lake Michigan and the rest of Northern Michigan at my grandparent’s home in Beulah. I am a rising junior at the College of Wooster in Ohio, studying Communication and Environmental Studies. As FLOW’s summer Grassroots Outreach Intern, I wear numerous hats. I write press releases, assist in event planning and advertising, and work on expanding our Great Lakes Society. My favorite work, however, is finding new ways to expand FLOW’s presence in the greater Grand Traverse community and Great Lakes Basin. 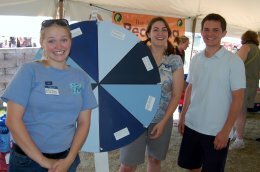 On Friday, July 5th, FLOW participated in the National Cherry Festival’s DTE Energy Green Day with our newly invented “Wheel of Water.” Along with FLOW staff and volunteers, I developed a Great Lakes trivia game and constructed a spinning game wheel to draw the attention of festivalgoers. 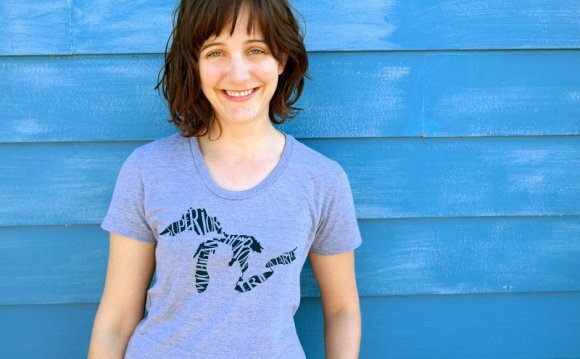 My goal was to get people thinking about the importance of the Great Lakes and the work that FLOW does to protect the waters both now and for future generations. The wheel was divided into four colors that aligned with a category of questions: science, geography, people/economy, and history/politics. The process of creating the game was enjoyable itself, but I was absolutely in my element when interacting with kids and adults alike who share my passion and interest in the Great Lakes. I even got my picture in the Record Eagle! For the kids, I asked a preliminary question before playing the game. “Can you name the five Great Lakes?” I was fortunate enough to have a variety of entertaining answers throughout the day. Some kids blew me away by naming them off without a blink of an eye, while others could only name one or two at best. I often heard that Crystal Lake, Torch Lake, Silver Lake, or whichever lake they loved was considered to be a Great Lake in their opinion. While by definition this may not be true, I must agree that any lake is a pretty “great” lake and worth protecting.